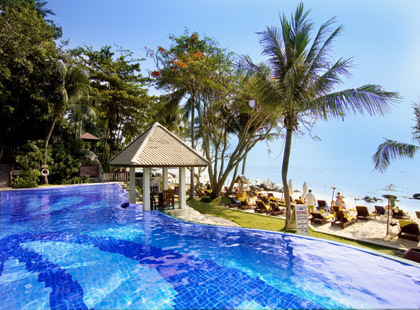 On the southern tip of Koh Samui, near the traditional fishing village of Hua Tanon and a 15 minute drive to the nearest nightlife, the Centara Villas Samui has its own secluded setting on Natien Beach. 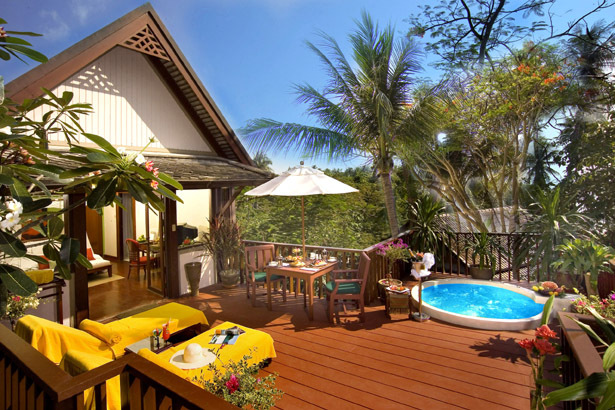 Amid an abundance of lush foliage the resort villas cascade down a hillside to the fine white sands below. There's an abundance of leisure activities or if you prefer simply relax by the beach, beside the pool or in the privacy of your villa, all of which have a private terrace to enjoy the cool breezes and natural surroundings. Excellent value and highly recommended. 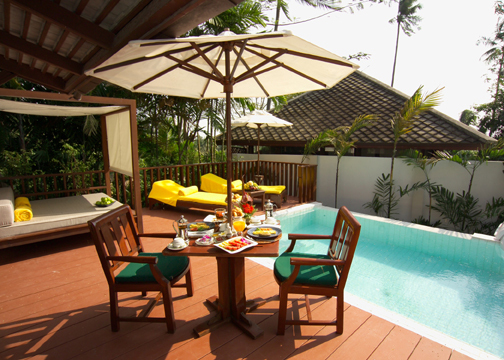 In garden villas (king bed only) with air-conditioning, shower only and mini bar. larger deluxe villas, spa villas which offer a sundeck with jacuzzi, pool villas which offer a private plunge pool, deluxe pool villas with ocean view. 35 minutes from Koh Samui airport. 01 Sep-20 Dec 19 if you book 60 days before arrival. may not apply to all room categories. one child 0-11 stays free, including breakfast, when sharing with two adults. Not applicable to deluxe family pool villa. 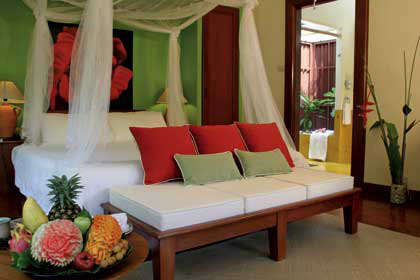 01 Sep-20 Dec 19 if you stay at least 3 nights receive fruit, flowers and a cake on arrival. Book at least 180 days prior to arrival and also receive a candlelit beach dinner for two people.